Welcome to the Transition page for The Oakwood Academy. If this is your first experience of secondary school as a parent, many things will be new to you and whilst there are some similarities with primary school, many things will also be different. If you already have a child at The Oakwood Academy, there has been some significant changes. widen students' experiences through a range of extra-curricular activities. We believe working in partnership with parents and carers will help us achieve our vision, that all students will reach their potential at The Oakwood Academy. We have numerous systems in place to support and strengthen this partnership. We are offering your child the opportunity to attend an after school club at The Oakwood Academy and earn a CREST discovery award on how science works. What is a CREST award? CREST is a project-based awards scheme for the STEM subjects (science, technology, engineering and maths). It is supported by the British Science Association. There are 5 levels of CREST Award; Star, Discovery Bronze, Silver and Gold. The Awards can be completed as individual or team project (assessment is based on individual achievement). Whilst in the club they will learn how to work safely in the science department, recognise equipment and its uses and do practical work in the science labs. This will give them a head start when they start secondary school in the science department. The club is funded by the school and lasts for 10 weeks. Details about the new course dates will be available after the Easter break 2018. The Children's University aims to promote social mobility by providing high quality, exciting and innovative learning activities and experiences outside normal school hours to children aged 7 to 14 (and 5 and 6 year olds with their families) and engaging the wider communities as learning partners in the realisation of this. At the heart of its work is the ambition to raise aspirations, boost achievement and foster a love of learning, so that young people can make the most of their abilities and interests, regardless of the background into which they were born. 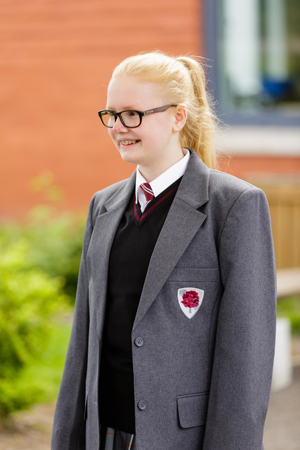 The Oakwood Academy Uniform is available from Just Schoolwear.